It’s upsetting, seeing the conditions that partner families are currently living in, but I feel so incredibly lucky and so glad to have been able to meet these amazing and kind people and to help them change their lives for the better. 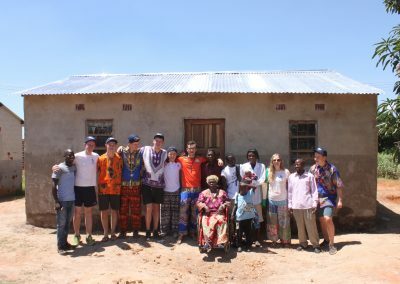 Our School and Youth Groups Programme is an amazing opportunity for secondary school students to work alongside families in need of a decent place to call home. 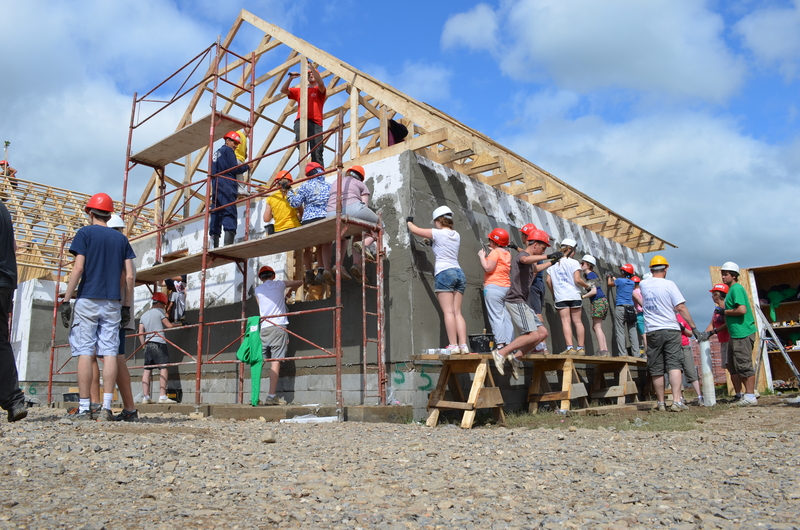 Habitat for Humanity Ireland’s School and Youth Groups Programme opens the minds of students to a world of global issues and practical volunteering experience – changing students’ lives for the good of others. 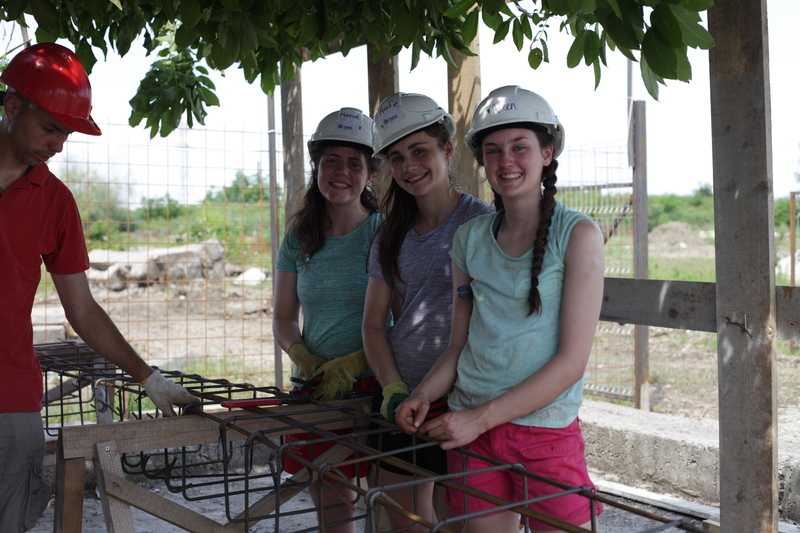 Every year, secondary students aged 16+ travel overseas with Habitat for Humanity Ireland for 1-2 weeks to help families to build strength, stability and self-reliance through shelter. The students commit to the team by attending training, team building, and by actively fundraising. They experience firsthand the impact of poverty housing and help make a lasting difference to entire communities. We encourage volunteers to become a voice for safe shelter when they return home; inspiring others to help us reach many more families in need. 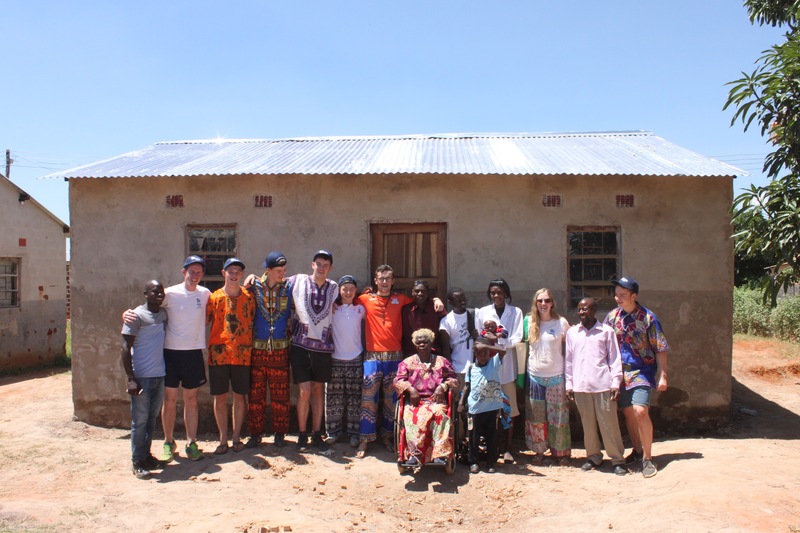 – Experience a different culture and learn about global development issues. Habitat for Humanity Ireland is an official Gaisce Challenge Partner. Gaisce Challenge Partners support and involve young people to participate in one or more Gaisce Challenge Area, allowing Gaisce participants to use relevant activities to count towards achieving a Gaisce Award. 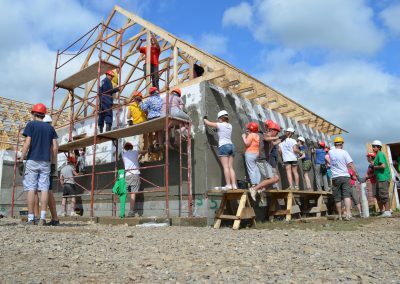 How to apply: There are two ways for students to apply: either join our Easter Youth Build, or create a school or youth group with a tailor-made itinerary. Once you’ve made your decision, fill out our Volunteer Application Form here. No construction skills are necessary! There will be a skilled supervisor on site to teach you everything you need to know. Adult team leaders: Volunteer groups consisting of minors (aged 16+) require a 1:4 adult:minor ratio. All volunteers (including team leaders) aged 18+ will be Garda vetted. Contact details: Email mary@habitatireland.ie or call 01 531 0033. Email Mary McGarry, International Programme Manager (mary@habitatireland.ie) or call 01 531 0033 for more information.